Are you having trouble feeding your family or paying your utility bills? Greer Relief was founded in 1936 by Greer residents who desired to help neighbors facing difficult circumstances. We care that you and your family are fed and equipped to get in a stable financial place. Once you have attended a Service Orientation and your application is complete, you’ll meet with a Case Manager to talk through what we can do to help. RENEW Program: Classes are schedules when volunteers are available to teach. Assistance is limited to residents of Greer, Taylors, Duncan, Lyman, and Wellford. Proof of residence is required. To receive food assistance the front of the Assistance Application must be complete plus along with a government-issued photo ID. To receive financial assistance, participants must first attend a Service Orientation. Then once the Assistance Application is complete with supporting documents, they will be accepted at the Intake Desk. Then a Case Management Appointment is scheduled to discuss what we can do to help. Greer Relief Programs are available for Greenville and Spartanburg counties. 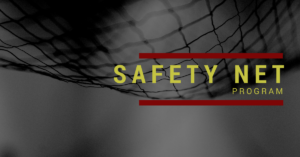 Safety Net Program (food, financial assistance, household, etc) are limited to residents of Greer, Taylors, Duncan, Lyman, and Wellford. Crisis Prevention Program includes RENEW classes and are open to anyone to participate. The J. Verne Smith Center agencies serve a variety of areas in Greenville and Spartanburg Counties. See below for more information. The following checklist provides everything you need to do and/or bring with you when you come by our office to apply. Emergency Information Documents: Receipts from medical expenses / car repairs, etc. The one-stop location in Greer for state and non-profit health and human service agencies. Call for hours and specific service areas. SNAP (Food Stamps) is working to end hunger and improve the health of low-income people by helping families buy the food they need for a nutritionally adequate diet.